Some times ago I did this advert for fun. Good Kai used it as intro for his great Commodore 64 site: Girls of 64 ! 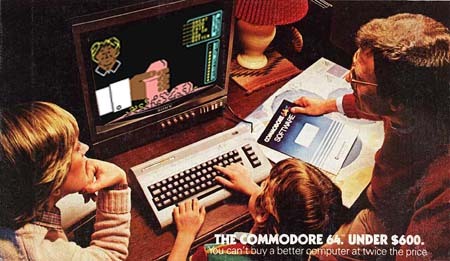 Stroker should have been bundled with the Commodore 64. Do you have problems playing our games? Does Wiggling hurts you too much? Try The Ultimate	Player's Cream! A bridge to your next High Score!